We are pleased to announce a new Australian dealer Professional Woodworkers Supplies. New PDF instruction pages now available for download! Instructions include more refined drawings!! 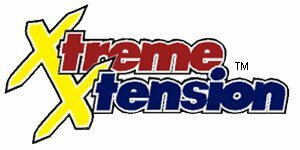 Router Technologies is pleased to announce the release of the Xtreme Xtension. Follow the link in blue to get more details. New PDF instruction pages now available for download! If you would like to bend your wrenches to help make it possible to change bits from the top of the table we have drawings available on the instructions page to help you determine where and how much to bend them. They are in PDF format and can be downloaded and printed. 6-17-2002 We have added several dealers to our list so be sure to check the dealer page for updates. Bosch 1617/1618 separate plunge base or kit with base, and the Bosch 1619 plunge router. Follow the link to take you to the dealer page for the RZ-200. Dewalt DW-621, and the new Fein RT-1800 instructions are now online. Go to John Lucas's site www.woodshopdemos.com for some installation ideas on the Hitachi TR12. Phil Bumbalough has a review of the Raizer in a Dewalt DW625 at www.benchmark20.com . an excellent review of the Router Raizer showing the benefits it offers. Pick up a copy at your local news stand or contact August Home Publishing. Copyright © 2000-2005 Router Technologies Inc.